Get yourself prepared for stormy weather with the help of Everything Summer Camp and our great selection of rain jackets, rain pants, rain suits, and rain boots! We’re always looking to pull the best products for our summer camp shoppers. 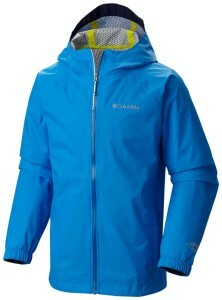 That’s why we’re proud to announce our new raingear from the best of the best in outdoor performance wear—Columbia. Sealing out the wet world is important when your camper’s out on an explorative expedition. Get her the Girls Explore More Rain Jacket. As cute as it is practical, this breathable Rain Jacket features elastic cuffs and an elastic waist to provide a hugging, snug fit as well as a cozy feel in unfavorable weather. Columbia knows that girls explore more, so get this classic Rain Jacket from the Columbia brand and help your daughter stay dry on the rainy days at camp. 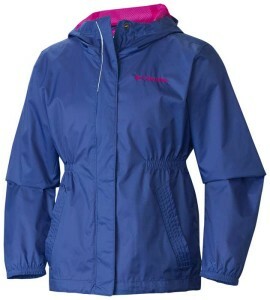 You’re sure to stay dry when it POURS when you’re prepared with this Columbia Rain Jacket. Determined to provide you with the protection you need against unfortunate precipitation, this Jacket is quite lightweight and breathable too. It boasts advanced evaporating and reflective detailing as well. This thing is so lightweight that it’s packable into its own hand pocket. Perfect at camp, check it out right here! And while these jackets are perfect at camp, they also work great after camp. Keep dry when you need to make your way to school on a rainy morning and all throughout the wet spring season! These are high quality Columbia jackets, so you certainly want more use out of them than the summer camp stay! These jackets don’t eat up much packing space, yet they provide you with a world of comfort when the weather isn’t so welcoming. When the world turns wet, simply don your raingear! Check it all out for yourself right here and, as always, thanks for reading.